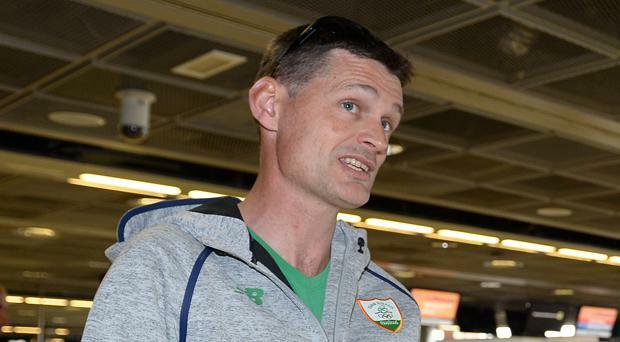 “Therefore, what has happened here is that the IOC (& WADA accept it) have decided that every single one of those positives from Beijing DO MEET THE CRITERIA for specific and extreme circumstances. Given the set of facts around this, including historical Jamaican anti-doping laxity, that is a difficult concept to swallow at face value. Why are they innocent, but not the kayaker? It’s even more ridiculous when you discover the lengths that the IOC and Jamaica went to in the Beijing Olympic Village precisely to avoid clenbuterol contamination! Jamaica, for instance, flew in its own meat, prepared by its own cooks. The IOC had rigorous quality controls in place, because it was known that clenbuterol contamination was possible. – Ross Tucker, writing about the latest ARD report from Hajo Seppelt alleging the IOC looked the other way when many male Jamaican sprinters (and other athletes from other countries) tested positive for the steroid clenbuterol in a 2016 re-test of 2008 samples. Read and Watch Hajo Seppelt’s latest report here. 18-year old Juco runner Quincy Hall runs 45.32 world lead at Stanford!! HSer Sam Worley beats Leo Manzano in Texas Relays mile - Runs 4:00.61!! Did the Founding Fathers speak with British accents? Another German ARD Report Comes Out: IOC Accused Of Failing To Investigate Positive Drugs Tests – Including By Male Jamaican Sprinters – From 2008 Olympics In a 2016 re-test of 2008 Olympic samples, small amounts of the banned steroid clenbuterol were found in a slew of athletes’ tests, including some male Jamaican sprinters, but they were all cleared without an in-depth investigation as the IOC says it could be meat contamination. Normally the exact opposite occurs, you are assumed to have doped unless a claim of contamination can be supported. LRC 2017 Prague HM Recap: Joyciline Jepkosgei Sets WR (64:52) To Become First Woman Ever Under 65:00 As Jordan Hasay Runs 67:55; Tamirat Tola Destroys Men’s Field In 59:37 JIn one of the greatest road performances in history, Jepkosgei started fast from the gun and wasn’t too far off the 5k WR of 14:46 as she ran 14:53. Jepkosgei also set road WRs at for 10k (30:04), 15k (45:38) and 20k (61:25) en route. The NOP team member having a great race wasn’t named Galen Rupp; it was Jordan Hasay, who joined Molly Huddle and Deena Kastor as the only Americans under 68:00 on a record-eligible course. Rupp was 11th in 61:59. *MB: HSer Sam Worley beats Leo Manzano in Texas Relays mile – Runs 4:00.61!! Pat Butcher: What Can Be Done To Make World XC And Stars Like Geoffrey Kamworor More Popular? He suggests media training. Japanese Track Season Has Started: Just 34 Days After His Epic 2:09 Marathon (1:01:55 1st Half), Yuta Shitara Runs 13:34 5k Ronald Kwemoi won in 13:24. Selina Buchel Fondly Remembers When She Whacked Her PR From 2:00.14 To A 1:57.95 In One Race It was in Paris in 2015. 18-Year-Old South African Sprinter Tlotliso Gift Leotlela Runs 10.12 For 2nd Time This Year The amount of talent in the South African sprint ranks is absurd right now. Spikes Magazine Lists Its 5 Greatest Spring Marathons Ever And An American’s Win Is #1 Guess who it belongs to? 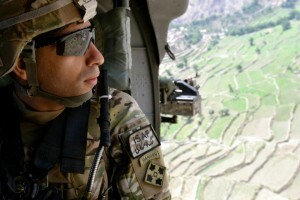 Hint, the person isn’t named Meb or Alberto or Deena. These Thieves Are Lucky She Didn’t Run Them Down: Former Steeplechase World Champ Milcah Chemos Robbed At World XC In Uganda She had her smart phone and cash stolen from her. She saw some boys running away, but the policemen she went to for help just laughed at her. Patrick Makau Will Return To The Berlin Marathon For The First Time In Six Years This Fall But first, the former WR holder will race in Boston and says he is “doing great” now that he’s recovered from a recent injury. May 13: Shanghai Diamond League Meet WIll Have 13 Olympic Champions Distance headliners include David Rudisha, Faith Kipyegon, Ruth Jebet and Almaz Ayana. May 27: Eugene Assembles Its Best-Ever Women’s Javelin Field Pre will have all three Olympic medalists, the World champion, the European champion and the 2016 Diamond League winner … amazingly they are all different people. June 13: World Champ Julius Yego, 2012 Olympic Champ Keshorn Walcott And 2007 World Tero Pitkamaki Added To Paavo Nurmi Games Javelin Field They’ll face off against Olympic champ Thomas Rohler. Turkish Distance Runners Elvan Abeylegesse And Gamze Bulut Officially Sanctioned By The IAAF These doping positives were announced earlier, but now that the sanctions are official that means Shalane Flanagan (2008 Olympics) and Kara Goucher (2007 Worlds) will get silver medal upgrades from Abeylegesse and Bulut will lose her 2012 Olympic silver. 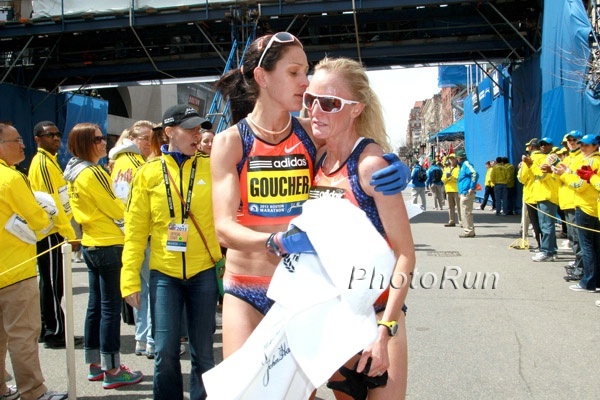 RW: Shalane Flanagan And Kara Goucher Upgraded To Olympic And World Silver Medals Flanagan tweeted that she was “elated,” but has never been contacted by the IAAF or IOC. Kaliese Spencer’s Anti-Doping Case Set For May 15th In Jamaica Spencer is accused of refusing or evading a drug test. Craig Reedie And Thomas Bach To Discuss RUSADA Re-Compliance At A Meeting Next Week We already know Russian track athletes won’t be at London 2017, but the big question now is will Russia be at the 2018 Winter Games? Charleston, SC: Shadrack Kipchirchir Wins 2017 Cooper River Bridge Run In 28:06 – Is 1st American Winner Since 1991 His wife, Elvin Kibet, was 2nd in the women’s race (32:45) as it was won by Monicah Ngige in 32:40. Washington, DC: Stanley Kebenei (46:36) and Hiwot Gebrekidan (53:37) Win 2017 Cherry Blossom 10 Mile Tara Welling was the top US woman (55:34). Christo Landry also impressed at 46:48. Luke Puskedra ran 47:57. Milan: Kenya’s Edwin Koech (2:07:13) Runs Fastest Marathon Ever On Italian Soil (2:07:13) To Win Milan Marathon Sheila Chepkoech PRed by more than 10 minutes to win the women’s race (2:29:52). Korea: Kenyans Mathew Kisorio (2:07:32) And Pamela Rotich (2:27:48) Win Daegu International Marathon Kisorio, of course, is a former EPO cheat. IAAF Recap: 2017 Australian Champs Conclude: Sally Pearson Sheds Tears Of Joy After Winning In 12.54w Ryan Gregon won the men’s 1,500 with a 53 last lap. 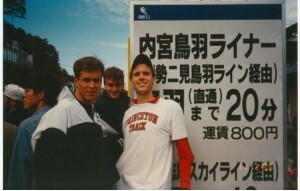 Stanford’s Steve Solomon won his 5th national title. For a nice story on Solomon from last year, read this. Luke Matthews Comes From Behind To Narrowly Win Men’s 800 Title 1:46.71 to 1:46.76. Coach Is Outraged After Non-Australian Wins 100m Title You don’t have to be an Australian citizen to win the Aussie title. If you’ve lived there for 2 years and are on a club, you can win. Several Kenyan-Born Americans Plead For Kenyans Not To Hate Them Tuliamuk: “There should be nothing much about Kenyans against former Kenyans.” In Kenya, they refer to the Kenyan A team (the actual team) and the B team (teams like the US or Turkey that are dominated by Kenya). 68 New Sports Want To Be Part Of 2020 The Olympics need fewer sports, not more. Anyone want 3 x 3 basketball? Calabar Upsets Pre-Meet Form Charts And Wins Its 6th Straight Title, Edwin Allen Dominates Girls Competition For 4th Straight Win Calabar upset pre-meet favorite Kingston College by 3. UK Athletics Head Ed Warner Says That Britain’s Obsession With Medals Is “Unhealthy” We 100% agree. Callum Hawkins Will Run Great Manchester Run (10k) On May 28th His 10k PR is technically 29:19 even though he split 28:12 in the NYC Half in March. Seb Coe Named 6th Chancellor Of Loughborough University The Chancellor is the chief ambassador of the university, presides over ceremonial functions and confers degrees on graduates of the university. *MB: Woman collapses in half marathon, carried to finish line. PV: Mondo Duplantis Breaks Pole Vault World Jr. Record With 19’4.25″ At Texas Relays! It’s also a Swedish national senior record for the Louisiana junior. 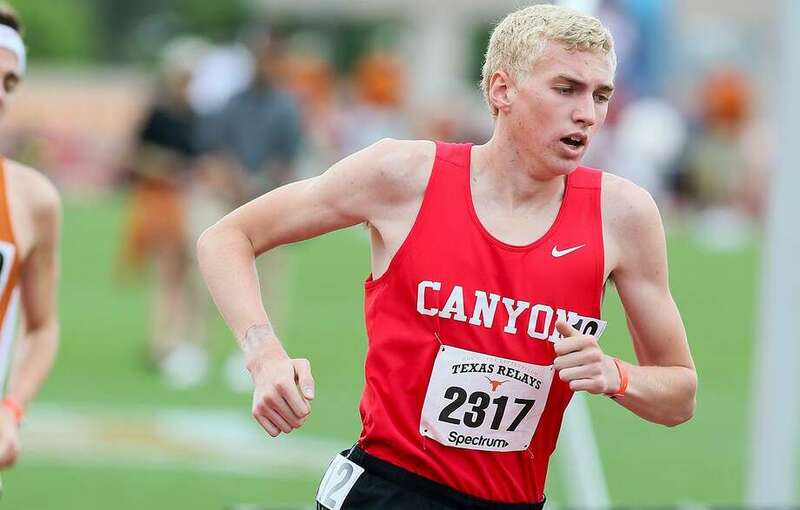 Mile: HSer Sam Worley Beats Leo Manzano In Texas Relays Mile – Runs 4:00.61! Oregon Ducks Break 4 X 100 And 4 X 200 Collegiate Records The new records are 42.34 and 1:28.78. In the 4 x 200, Dafne Schippers ran down Ariana Washington. Oregon’s Alaysha Johnson Destroys Oregon School Record As Well As NCAA 60H Champ With 12.69 At Florida Relays Oregon’s women’s sprint squad is so good it’s amazing as their previous school record holder – Sasha Wallace (NCAA 60H champ) – was 6th in the race. 18-year old Juco runner Quincy Hall runs 45.32 world lead at Stanford!! The kid is a talent as at age 16 and 1 month, he ran 46.71 in HS. 10k: Anna Rohrer Runs 31:58.99 In 10k Debut For Win At Stanford! Abbabiya Simbassa (28:03) Wins Men’s Race Rohrer got the WChamps standard and is the 7th-fastest collegian ever. Stephanie Bruce, who was 22nd at World XC last week, was 2nd in 31:59. Stars Edward Cheserek (28:46) and Molly Seidel (33:19) won the slow heats. Steeple: Allie Ostrander Runs 9:55 FTW In Her Steeple Debut Michael Jordan won the men’s race in 8:33. 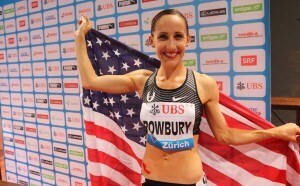 RRW: Americans Shannon Rowbury, Paul Chelimo To Take On International Rivals At Sunday’s Carlsbad 5,000 Rowbury faces Viola Lagat, former All-American Dominque Scott and Neely Gracey while the men’s race has 2012 Olympic silver medalist Dejen Gebremeskel, Will Leer, GB’s Andy Vernon and Aussie Collis Birmingham. 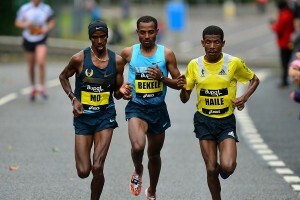 Berlin Half Marathon Preview: Men’s Race Led By Sub-60 Minute Kenyans David Kogei, Gilbert Masai And Daniel Chebii Sarah Hall is in the women’s field which is lead by the race’s past two winners Elizeba Cherono and Cynthia Kosgei. MB: Michael Wardian Set to Race Barkley (Ultra) Marathons After Running 2:29 Marathon On Indoor Track Last Week For some good reads on this epic ultra race which has way more DNFs than actual finishers, go to our Barkely Marathons archive page. $62,000 In Prize Money Up For Grabs At The Cooper River Bridge Run 10K In Charlotte, NC Fields include last year’s winner Monicah Ngige, former NYC Marathon champ Firehiwot Dado, Amy Van Alstine, Becky Wade, Jen Rhines for the women and 2-time defending champ Dominic Ondoro, Shadrack Kipchirchir, Jon Grey, Kirubel Erassa for the men. 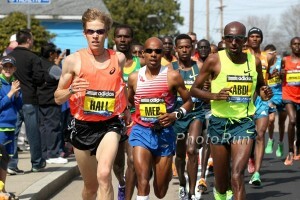 Past Winners And Top American Set Headline Strong Field For Credit Union SACTOWN Run 10 Mile The men’s race includes Aaron Braun, Andrew Lemoncello and Fernando Cabada while the women are lead by Kenya’s defending champ Jane Kibii. 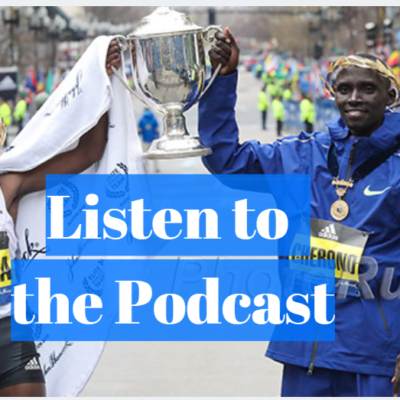 Recommended Reads: Lengthy 3-Part Blog Series By Japanese Citizen Runner Yuki Kawauchi In the first part, Kawauchi talks about the “miracle in Fukuoka” where despite a sprained ankle, he fought through to finish 3rd (top Japanese man) and make the 2017 World team. Yuki Kawauchi Butted Heads With Japan National Long Distance Head Toshihiko Seko At Worlds Meeting Kawauchi had some witty remarks to Seko’s speech and Sekio criticized Kawauchi thinking too much about being weak in the heat. An interesting exchange for sure. 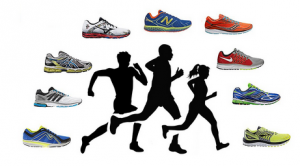 The Japan Times: Change To Japan’s Marathon Team Selection In Works For 2020 Games They’re considering taking a page out of the US book and having the top two finishers at a trials race qualify automatically with a third being selected based on whoever has the fastest qualifying time. 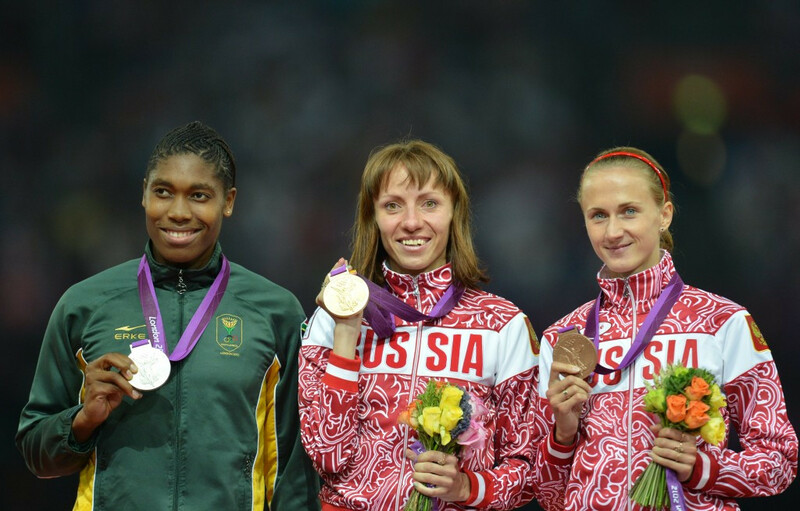 Russia’s Mariya Savinova Launches CAS Appeal Over Her Doping Ban And Stripped Medals Savinova was banned for 4 years and lost her 2012 Olympic, 2011 World and 2010 European golds. Dopers, Watch Out: Craig Reedie Says More Whistleblowers Are Talking To WADA Reedie says he has been told that a number of whistleblowers are working with WADA, but he himself doesn’t know the specifics because it remains confidential. Former Hammer World Record Holder Gulfiya Khanafeyeva Among Four Russians Diqualified From London 2012 Olympics Khanafeyeva, another hammer thrower, a triple jumper and weightlifter were sanctioned after being caught in doping retests.